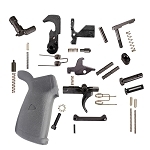 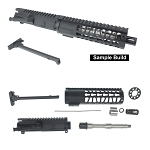 AR-15 uppers give you unlimited options when building and customizing a rifle or pistol. 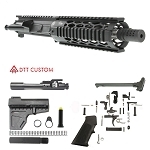 By selecting the right upper you can enhance the capabilities of your AR by varying the upper, barrel, or handguard. 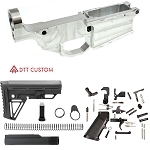 Also, you can change the caliber of your AR rifle or pistol too with just the push of 2 pins & magazine change is all that is needed. 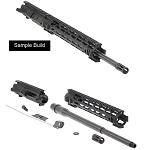 Also great for keeping your rifle or pistol reliable & functioning right or upgrade performance all with minimal work to install. 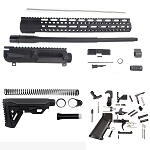 By Swapping out the upper receiver gives you virtually 1000s of options for your Ar-15. All Delta Team Tactical Upper Receivers Are Priced At Below Distributor Cost !! 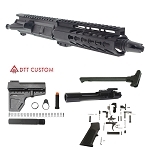 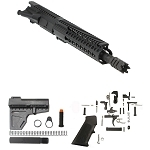 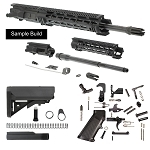 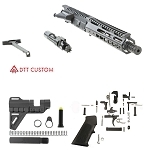 Davidson Defense AR-15 "Compression" Complete Rifle Kit 16" 5.56 Nato M4 1:9 T Barrel 10" Super Slim Ultra Lite Keymod Handguard - Everything Minus Lower & BCG!